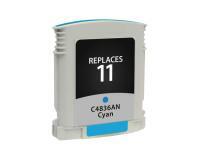 When do I Replace an Ink Cartridge in the HP Business InkJet 1200 Printer? 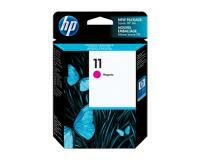 Your HP Business InkJet 1200 Printer is based on the Drop-on-demand thermal inkjet printing method. 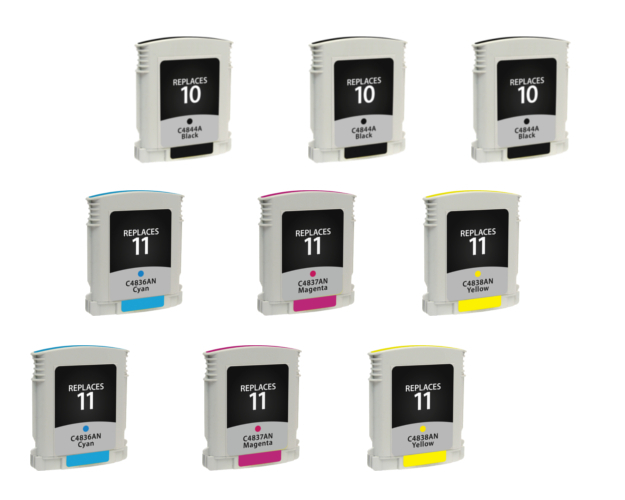 The machine is equipped with four ink cartridges: Black, Cyan, Magenta, and Yellow. You can check the status of the installed ink cartridges from the HP InkJet Toolbox, or the embedded Web server. Please note that the Fast mode uses less ink, which extends the useful life of the installed ink cartridges, but may also have a negative effect on print quality. 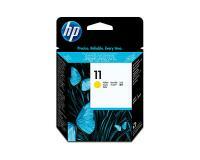 You should replace the installed ink cartridges if any of the listed print-quality problems and indications appears. 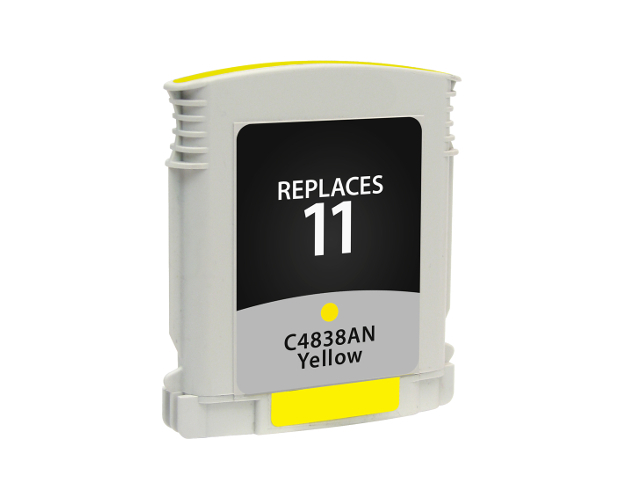 The [Power] and one/several [Ink Color] LEDs are on – The indicated ink cartridges are nearly empty. 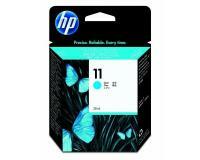 You must make sure that you have new ink cartridges of the corresponding colors in stock. The [Power] LED is on and one/several [Ink Color] LEDs blink – The indicated ink cartridge(s) is empty. 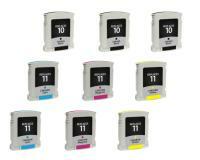 A new [Color] ink cartridge must be installed before you can continue printing. The [Power], the [Ink Cartridge], and one/several [Ink Color] LEDs are on – The HP Business InkJet 1200 Printer does not detect the specified ink cartridge. 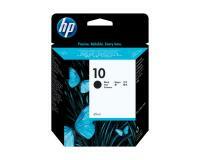 You must make sure that the indicated ink cartridge is correctly installed. Please install a new ink cartridge of the matching color if the problem persists. The [Power] LED is on, and the [Ink Cartridge] and [Ink Color] LEDs blink – The indicated ink cartridge is faulty or has expired. 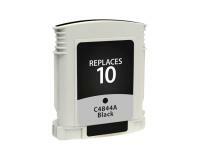 Please replace the specified ink cartridge with a new one. 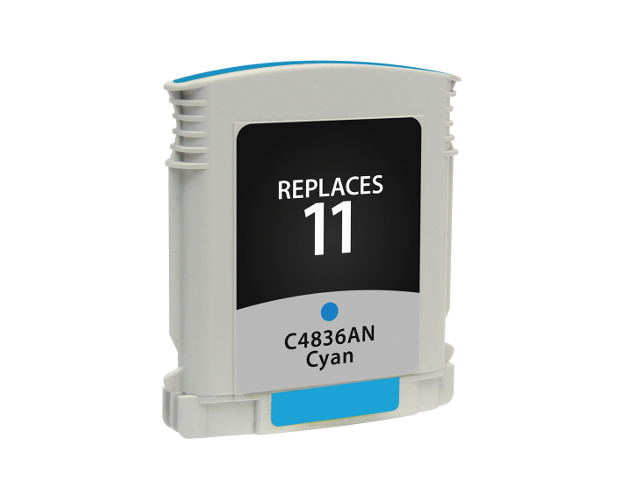 The [Power] and one/several [Ink Color] LEDs are on, and the [Ink Cartridge] LED blinks – You have installed a compatible, non-OEM ink cartridge. 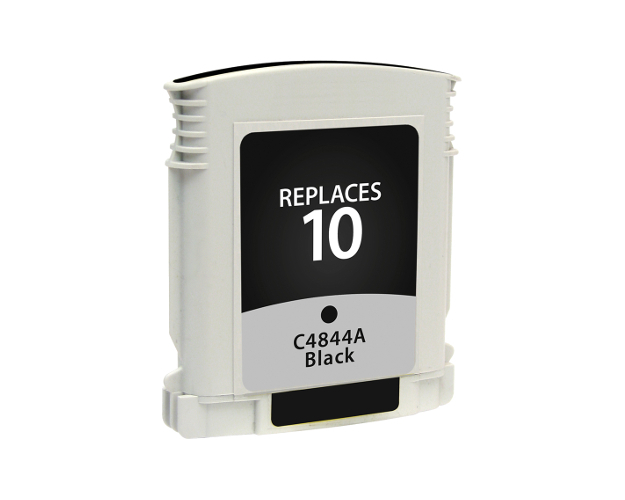 You have to press and hold down the [Power] button and press the [Resume] button three times to initialize the new ink cartridge. You must make sure that the HP Business InkJet 1200 Printer is turned on, and then press and release the ink-cartridge cover to open it. Next, you must remove the empty ink cartridge by pulling it upwards and slightly towards you, and then unpack the new ink cartridge. 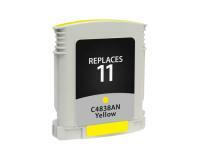 Once the new ink cartridge is completely unpacked, you must insert it firmly into the corresponding color-coded slot, and then close the ink-cartridge cover. Finally, you should test your HP Business InkJet 1200 Printer.